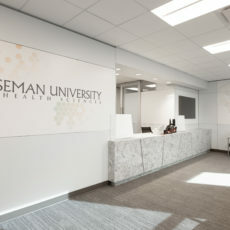 Home to the new Advanced Education in General Dentistry residency program for Roseman University in Henderson, NV, the facility features six operatory rooms, a surgical suite, three offices, meeting room, lobby and waiting areas. 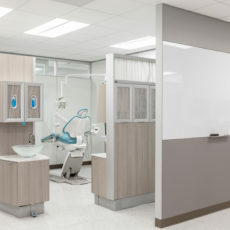 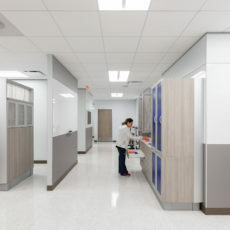 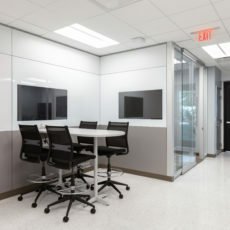 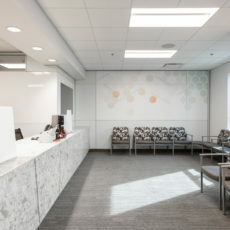 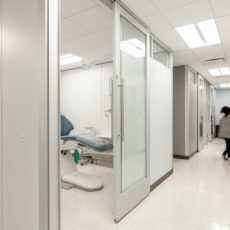 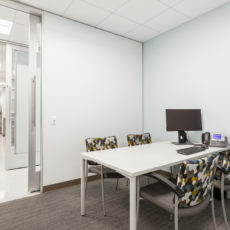 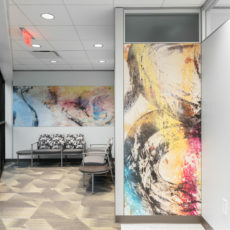 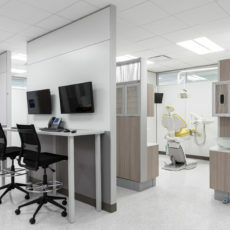 Constructed using DIRTT pre-fabricated walls to seamlessly integrate media, power and medical gasses, the space features cutting-edge technology and modern aesthetics. 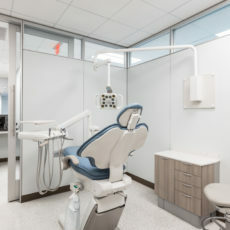 The clinic provides dental care to patients while giving student dentists and resident dentists training and education using the latest in computer and multimedia technology.